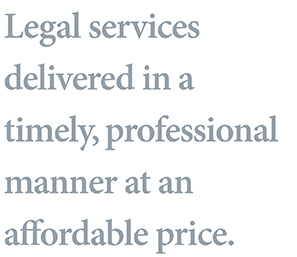 Starting and growing a successful business or professional practice requires skill and hard work – from you and your legal advisors. We can help you get started on the right foot as a sole proprietorship, partnership, corporation or limited liability company. We will work with you and your other advisors so that we understand your business and can help you make it prosper. Our experienced business attorneys will provide you with practical, timely help with borrowing, leases, contracts, employment issues, litigation and almost any other legal matter which may affect your business.